We are absolutely loving our partnership with Diapers.com. It was such a blast coming up with these unique collections, which we designed especially for Diapers.com readers. Each Party in a Box allows the customers to create a unique celebration in a matter of minutes; And that's just amazing to us because we know that with every celebration comes lasting memories. If I had to pick a favorite it would be our First Birthday Party in a Box. 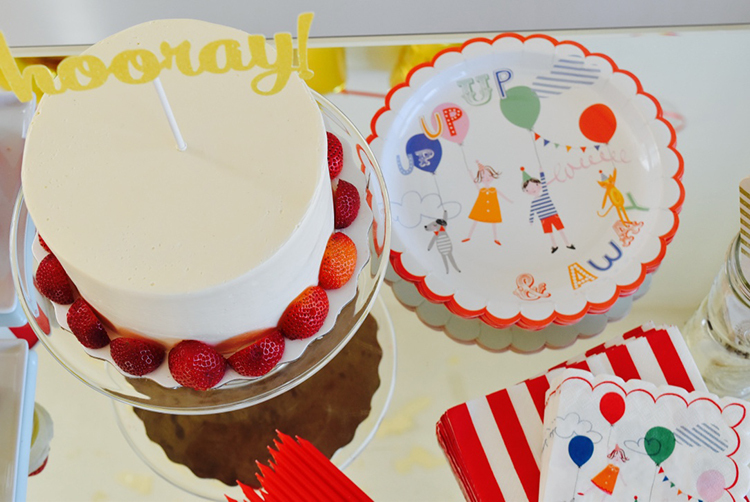 A gorgeous, gender neutral party to celebrate making it through your little one's first year. Pretty awesome collection, right? 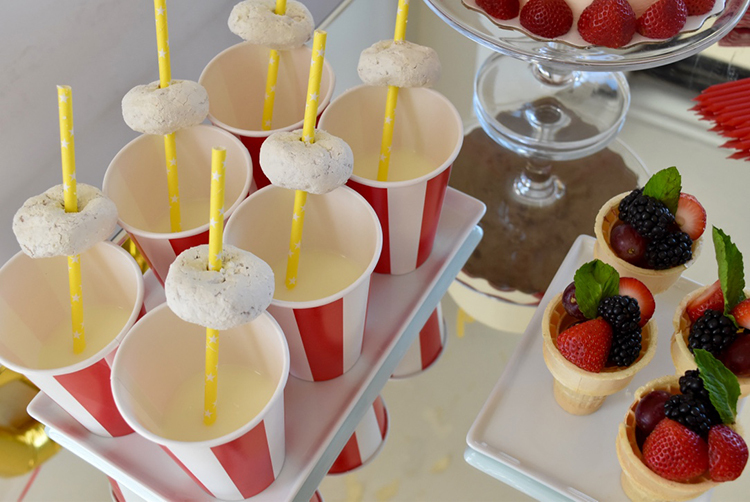 For some quick and easy dessert party ideas, we filled the paper cups with milk and threaded a mini donut onto each straw. We also took supermarket ice cream cones and filled them with seasonal berries and mint for a healthy alternative. And lastly we found a simple white cake at our local supermarket and jazzed it up by placing strawberry halves around the base, and our HOORAY cake topper on top. This party literally took us 30 minutes to setup, and the kids LOVED it all. Do you have a party to plan?? Don't hesitate...Check out all of our boxes at Diapers.com!